If you are looking for some place to have fun and meet a lot of great people, you should check out the dart leagues and tournaments at the Cactus Moon. We are consistently in the top 5 locations in the United States in the Medalist Dart League program. In 2013 we were 3rd, only behind Cloud 9 in Kent Washington (1st) and Flights in Everett, Washington (2nd) . 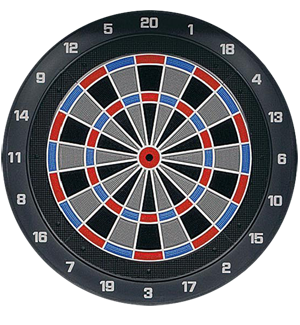 We hold dart tournaments every Friday and Sunday night. Win $600 with 16 teams, and very seldom do we have less than 16 sign up. We also hold special events. We have special shoots on Memorial Day week-end, Labor Day week-end and the Friday after Thanksgiving. Already this year we have had two special Saturday afternoon shoots where we have added an additional $2,000 to the prize money. Medalist Darts has a league for any level from beginner to expert, Sunday through Thursday nights. Go to www.medalistgames.com for more information regarding the Medalist program and the various levels of league play. To join in the fun any Friday or Sunday all you have to do is show up, sign up, and get involved. Our lovely dart coordinators, Chris and Cheryl Pittman will be glad to get you started if you are new to darts. All levels of players are always welcome at the Cactus Moon.